Planning a trip to Disneyland can be very expensive. A typical family of four (2 adults and 2 kids) will spend anywhere from $1,500 to $4,000 on a fun filled vacation to Disneyland. A Disneyland vacation will usually include plane tickets, hotel arrangements, rental car, souvenirs, food, and of course, theme park tickets. So you can see why it can be expensive. Wouldn't it be nice to be able to save some money on your Disneyland theme park tickets? Absolutely! So I am going to provide you with 3 tips on how to save anywhere from 10% to 50% on your Disneyland tickets. 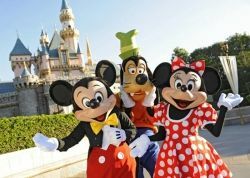 Go online and visit Cheap-Disneyland-Tickets.com; Cheap-Disneyland-Tickets.com is a cool website that integrates with eBay to source the best deals on cheap Disneyland Theme Park tickets online. You can save anywhere from 10% to 50% by following the links on the site to purchase tickets instead of at Disneyland's ticket booth. It's a nice web site that's worth visiting if you're planning a vacation to Disneyland. 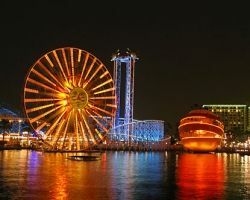 Purchase a Southern California CityPass; the longer you stay in the Anaheim area and the more theme parks you're willing to visit, the more money you can save. So consider buying a Southern California CityPass booklet. The CityPass is a "pay one price" ticket booklet providing admissions to multiple local attractions discounted off of retail prices. The Southern California CityPass includes access to the following attractions: Disneyland, California Adventure Park, SeaWorld Adventure Park, The San Diego Zoo, and Universal Studios Hollywood. The best place to purchase the Southern California CityPass is Costco. You can sell your un-used portion of your CityPass booklet on eBay. CityPass delivers a savings of over 33% and is a great way to save money. Remember, ticket card expires 13 days from the date of the initial use. Purchase your tickets from ARES Travel; ARES Travel is a ticketing & reservations agency which is authorized to offer a small discount on Disneyland tickets to the general public. 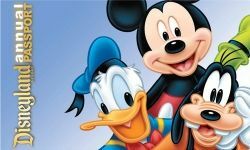 They also offer good deals on Disneyland resort vacation packages. Especially during the holidays. Finally, the last place you want to buy tickets is at Disneyland's ticket booth. You'll pay up to $50 more for your tickets if you purchase them at the gate. My favorite place to visit for Disneyland tickets is at Cheap-Disneyland-Tickets.com. I think they source the best selection of Disneyland tickets at the lowest prices. Please share with me where you like to buy your Disneyland tickets by leaving a comment below. If you have children or love the magic of Walt Disney then a trip to Disneyland is probably your idea of a dream vacation, but what's the best way to find discount tickets to the park? Your budget is no doubt first and foremost on your mind when it comes to planning a trip to this amazing and world famous theme park, especially if you're planning to take the whole family, but fortunately, there are ways to save money and find tickets to fit any budget so that everyone, young and old, can enjoy the magic that is Disneyland. One of the best ways to find cheap Disney tickets is to find deals online that bundle them with other offers. For example, you can get tickets with discounts up to nearly thirty or forty percent off if you buy them along with hotel reservations, especially if you stay within the park itself. By staying in one of their many quality hotels, you can get tickets to anywhere in in the park or even get discount passes that are good for three or four days. Even if you choose to stay somewhere else, you can still find great bundled deals online for discount tickets, especially if you create a complete package with airline tickets, a rental car, and a hotel reservation. The more you bundle, the more you can save, particularly if you use sites that help you find travel deals, such as Expedia or Travelocity. Another way to find discount Disneyland tickets is on auction sites such as Ebay. Many people who have bought tickets and can no longer use them will often sell them online to try to make back at least some of the money they spent, and this is where you can save big. Of course, this means that you will have to try and bid for them, which does take skill, but it can be more than worth it in the end. One final way that you can find cheap Disneyland tickets is to search for promotional deals online. With the use of a few keywords, you can find a number of deals that are offered by different sites, and in some cases, the more tickets you buy, the more you will save. Finding cheap Disneyland tickets in order to make your dream vacation a reality can be challenging, but the fun and excitement of this magical destination makes the search well worth it. Members of the United States Armed Forces have made tremendous sacrifices for our country for many years. The jobs that they have require them to be away from home and their families for extended periods of time, anywhere from 6 months to a year or longer. So families of service members are making huge scarifies as well. In honor of our service members and their families, the Walt Disney Company is offering them 3-Day Disneyland Resort Park Hopper tickets for only $125 each. The normal price of a 3-Day Park Hopper ticket is $250. Wow...that's a savings of 50%. It's one of the best discounts you can get on Disneyland theme park tickets. Since it's a hopper ticket, you can visit both Disneyland Park and Disney California Adventure Park on the same day without any restrictions. What's great about these discounted tickets is that service members, family members, and friends can use them. Disney World has a discount program too, but it's a little different. They're offering 4-Day Military promotional tickets for $156 each. In addition, there's no park hopper. So if you want to go to Disney's Water Park Fun & More, it's an additional charge. The discounted Disneyland tickets can be purchased at a participating U.S. military base ticket office or you can buy them at the front gate of Disneyland. The discount theme park tickets are for active or retired members of the United States military, including the National Guard, Reservists, and the United States Coast Guard. 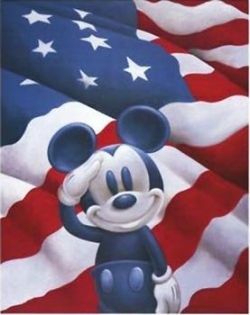 Remember, if you are not an active duty service member then you cannot purchase the heavily discounted Disneyland Park Hopper tickets. However, if you are retired from military service then you are still eligible for the tickets. Please provide a comment below if you are planning on buying these tickets or if you have purchased them in the past. Recommended Reading - Essential reading if you're planning a trip to Disneyland! The Unofficial Guide to Disneyland is one of the most thorough guides for Disneyland. 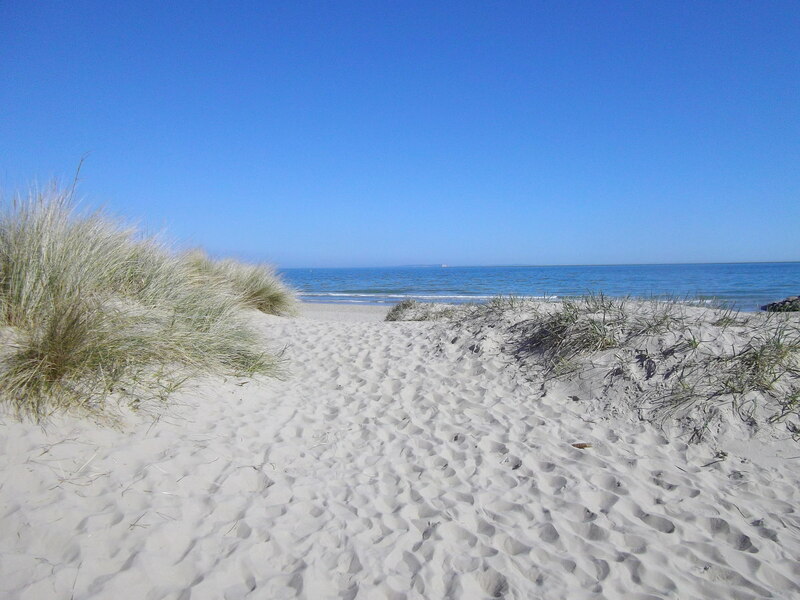 Many vacationers have used the book's tactics to save money on tickets, hotels, and dining. In addition, the book shows you how to get on most popular rides with minimum waiting. The dining chapter has detailed reviews of over 50 restaurants. Tear-Free in Disneyland has some great advice on how to avoid those bad moments that families sometimes experience at Disneyland. Use this book as a strategy guide on how to do your "magical" vacation without a meltdown. In addition, the chapter on dining at Disney is helpful and gives a lot of information on the average cost and the type of foods served at different restaurants in the area. If you're on a tight or limited budget then you'll have to do a little financial planning prior to taking your family on a trip to Disneyland. However, if you have an unlimited budget then consider yourself lucky and skip this section. The biggest mistake you can make is going on a Disneyland vacation without any financial forethought or planning. Unprepared vacationers tend to use their credit card(s) a lot, which will lead to a very large credit card bill at the end of the month. Below are 5 tips you can use to plan an affordable trip to the Disneyland resort theme park without putting yourself into a financial hole. You should begin your financial planning at least one year before your actual trip. However, if you need a longer period in order to reach your budget goal then go for it. For a Disney vacation, the following items need to be included in your budget: Disneyland tickets, lodging, airfare, rental car, meals, and souvenir trinkets. I'll show you later how to save on some of these items but for now, include them in your budget. One of the best places to go to get a total estimate for Disneyland tickets, lodging, airfare, and a rental car is Orbitz. However, you are more than welcome to use other sources like Expedia, Travelocity or your local travel agent. Orbitz.com often runs special promotions that include discounted or upgraded Disneyland tickets. Especially in the off-season. Once you have your estimate, add to that the amount for meals and souvenirs. Once you have that total then pad it by another 10%. This is for price increases and unexpected costs. Congratulations, you now have a rough idea of how much that magical vacation is going to cost you. Now we're ready to go on to the next tip. Now that you know how much your family vacation will cost you, the next step is to create a new vacation savings account. Using a separate account prevents you from spending the money elsewhere. After the savings account has been established, use online banking to setup a recurring automatic transfer of funds from checking to the new savings account. The recurring amount to transfer is based on the total amount of your vacation divided by the total number of periods left before your vacation begins. So if you're planning on going to Disneyland a year from now and the total cost of the trip is $2,500 then the recurring transfer amount will be $208 per month. The main benefit of staying at a Good Neighbor Hotel is the quality of the hotel and close proximity to the Disneyland resort. In addition, travel agencies both local and online are always running promotions that offer the 3rd or 4th night free when booking a Disneyland vacation package at participating Good Neighbor Hotel (GNH). This is a great way to save money. If your budget still can't afford a GNH, then I recommend staying at a 2-star budget hotel or motel that's in walking distance to the theme park. These types of hotels aren't great but they aren't that bad. Remember, you're on vacation to have fun at Disneyland, not to stay in a hotel all day. If you stay at a Good Neighbor Hotel then you will probably be within walking distance to the Disneyland resort. In additional, most of these hotels offer a free shuttle service both to and from the park. The shuttle schedule begins early in the morning and ends late at night. However, if you're not staying at a GNH, the 2-star budget hotel I mentioned before should be within walking distance to the theme park. Finally, there are several affordable shared shuttle services that will take you and your family from the airport directly to the Disneyland resort. Skipping the rental car is a great way to save money. If possible stay at hotel that offers a free complimentary breakfast. Most Good Neighbor Hotels offer this. This will save a family of 4 a lot of money. Ensure your room has a small refrigerator and microwave so that you can prepare meals for your family when it's not convenient to go out. Go to the grocery store and stock up on water, snacks, beverages, food, and other things that you need to make your vacation comfortable. Finally, when it's time to go to the theme park, take a backpack full of beverages and snacks as buying food inside the park can really break your budget. If you want to eat outside of the theme park but not in your hotel, you should consider places like iHop, Subway, and Red Robin. Please share with me your ideas on how to save money on a Disneyland vacation by leaving a comment below. Every year, millions of people come from all over the world to visit Disneyland and to experience a wondrous place of magic and fun. Walt Disney wanted families to come to his special magical place, and there are many good reasons to consider buying a Disneyland Annual Passport. Being an annual passholder gives you unlimited access to both Disneyland Park and Disney California Adventure Park in the same day for a one-year period. I am not going to kid you. Annual passes to Disneyland can be expensive, especially for a family of 4 or more. However, it may be worth it if you live in California and you planned on spending at least 10 or more days during the year at the resort. Annual Disneyland Passports cost from $269 all the way up to $649, depending on which one you buy. Remember, these prices are per person (adults and kids pay the same price). So you can see how the total cost for your entire family can be a little expensive. Your best bet is to carefully calculate your costs with and without annual passes before buying them. Visit the Disneyland website for yearly pass details as well as payment options. People who have annual passports to a Disneyland resort can receive information through the mail that will let them know about special things that are happening in Disneyland. There is a publication that is mailed to people who have year round passes, which will give them inside information into the theme park that the public will not have access to. Annual passport members can also get exclusive invitations to special private events. Another one of the great benefits of having an all-year pass to Disneyland is that there are special annual passholder discounts. While at Disneyland, people eat, buy souvenirs, and stay at the Disneyland hotel, and what can make a great stay even better is to receive a discount. Imagine getting ten to fifteen percent off of important things like food. 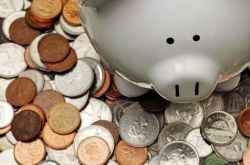 Ten to fifteen percent may not sound like a lot, but when you have a large family that percentage can add up to big savings and extra money to spend on other things. 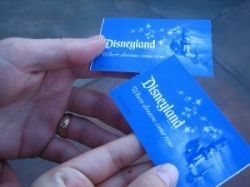 There are two major downsides to Disneyland annual passes. The first is that you must pay the money upfront, which may be financially challenging for some families. However, there are payment options. The second downside is that if you don't purchase the Disney Premium Passport (available for $649) then you'll be subject to blockout dates (a.k.a. blackout dates). Disney's website has a blockout calendar for you to review prior to making your purchase. As you may have guessed, blockout dates vary based on the type of annual pass you buy; but if you're a Premium Passholder you don't have to worry about not being able to go when you want to. Anyone that wants to experience as much of the magic of Disneyland as possible should consider purchasing a Disneyland Resort Annual Passport if it's a good fit for your budget and family. If you know of any additional ways on how to save on Disneyland tickets, please feel free to comment below. Southern California Theme Parks: Review of Disneyland, Knott's Berry Farm, Legoland, Sea World, and Universal Studios. This is outdated and has some truly BAD advice. Don't ever buy tickets on eBay or classifieds. Disney fingerprints and takes photos of the first ticket users- it cannot be transferred or sold! Plus, when you buy online, there's no way of knowing if the ticket is valid until you get to the gates. Scammers could sell multiple copies of one ticket and Disney will not take pity on you. Only buy through reputable brokers or Disney.com where you know your purchase is protected. Really great and informative lens! I am new to Squidoo and just built this lens, hope you can check it out! Thanks for the tips! Very useful to me, as I'm planning to go to Orlando in February. We had a fantastic trip to Disneyland in Paris this summer with some friends of ours. It was a dream come true for our kids who waited it for so long. That dream trip may become a reality! Great lens. We're planning a visit soon and it's always good to get a bargain. Disneyland, my favorite place on the earth. I go to Disney World all the time. Can't wait to visit Disneyland again. Wonderful lens!!! Thanks a lot for sharing! @ddayse123: Thought that was to good to be true :) Thank you! @anonymous: Jen, you are correct. Passholders don't get a free ticket. The statement has been removed. Sorry for the confusion. How do you get free tickets as a passholder?? i have been a premium passholder for years and never heard of this!! We are going for my nephews birthday and he is taking a friend without a pass we are looking at having to buy him a ticket if we each get a free ticket that would be AMAZING!!! About to plan a trip for my family to Disney this summer.....Awesome info &amp; Great Lens! Amazing place....enjoying trip in disneyland! Want to visit some day. thanks for sharing. this is so important never thought about this matter before. Appreciate your effort. Disneyland is such an amazing place!! I love it!!! @xhobbystore: You're welcome. I hope you and your family have a wonderful time at Disneyland. THANK YOU very much for sharing this. My family is going to disneyland this July 4th. We have about 7people, and your post saved us a lot of money. thanks again. Thanks for the tip Ashlee! Wanna take my kids. $15 of hopper tickets seems pretty good. Great tips......will definitely check these sources when planning my trip. There's also this site: www.discountparkpass.com. I saved 15 bucks off the single day hopper (no black out dates) and they ship the tickets to your home for free. Got mine in 2 days. I don't like waiting for Ebay auctions and many of those tickets had blackout dates so felt a bit risky. @anonymous: Thanks for the tip. You've got to be very careful. Disneyland is now having people sign multi day passes and you must show ID when returning to the park. This is new due to this kind of ticket purchasing. When I just went, the employee actually wrote my name off of of my ID on my ticket. They wouldn't even let me sign for myself. This applies to multi day passes only which is what most people sell. Good idea to buy cheap ways to travel. Try Costco and the southern Californai supermarkets. They often have specials. And you can convert them to annual passes to use if you time your next trip for 11 months or so. Great lens! I love Disneyland! Thank you for such well researched information.